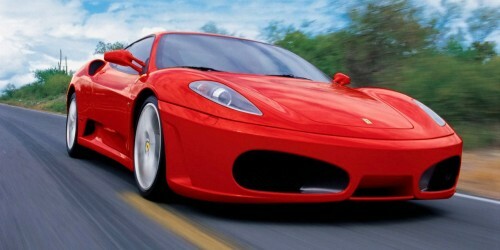 NFSUnlimited.net • View topic - Ferrari in Need for Speed SHIFT? Ferrari in Need for Speed SHIFT? From what we hear, Ferrari is coming to Need for Speed SHIFT. Right now it's only a rumour, but stay tuned, this might just be incredible enough to be true! Re: Ferrari in Need for Speed SHIFT? More info about that rumour? It would be great to have Ferraris in SHIFT. This would get me playing Shift again. No doubt. i dont even care if they put a price tag on the dlc if the make it a dlc. I just want to see Ferrari in NFS again. maserati is owned by ferrari and the mc12 is powered by the enzo engine so in a way it was already in the game. BUT i want to drive a car with the ferrari name so i really hope this is true!!! while not a fan of Ferrari, i'd be happy if they added another brand, being Ferrari, into the game. but then i would probably complain about them not adding F50 or Testarossa or 550 Maranello. New Ferrari cars just dont appeal to me. A Ferrari-themed download content pack for Need for Speed Shift will be released later this month, bringing many sought-after Ferraris and a new tier in career mode to Slightly Mad Studioâ€™s popular first title. Even though this pack hasnâ€™t been officially announced yet, the Major Nelson podcast spilled the beans a few days ago, revealing that ten Ferrariâ€™s will be making their way into Shift, coming with new archivements and new events for the gameâ€™s career mode. The pack is planned to be released later this month, keep in mind that this is leaked info for now and the information might change once an official announcement is there. Adding Ferrari back into the line up is like finding that last pice of the puzzle you worked on and put it in. It just wasn't complete without it. Imo anyway. Oh my! Ferraris back in NFS? I sure hope it's true...not that I'd be able to play that DLC seeing as I have a HDD-less Xbox360 and Wine doesn't run SHIFT. jayson74 wrote: Adding Ferrari back into the line up is like finding that last pice of the puzzle you worked on and put it in. It just wasn't complete without it. Imo anyway. Couldn't of put it in better words. Its just that piece that went missing somewhere then you found it and now you have the most complete and amazing picture you could ever find. la Form wrote: ...revealing that ten Ferrariâ€™s will be making their way into Shift, coming with new archivements and new events for the gameâ€™s career mode. Many people claim files are part of the old Ferrari game they were building but I do not think so at all. so is this becoming real or a rumor gone huge and wrong? tool831 wrote: Many people claim files are part of the old Ferrari game they were building but I do not think so at all. For starters I hope the rumors are true, and that they come to all platforms (would make me install shift again).